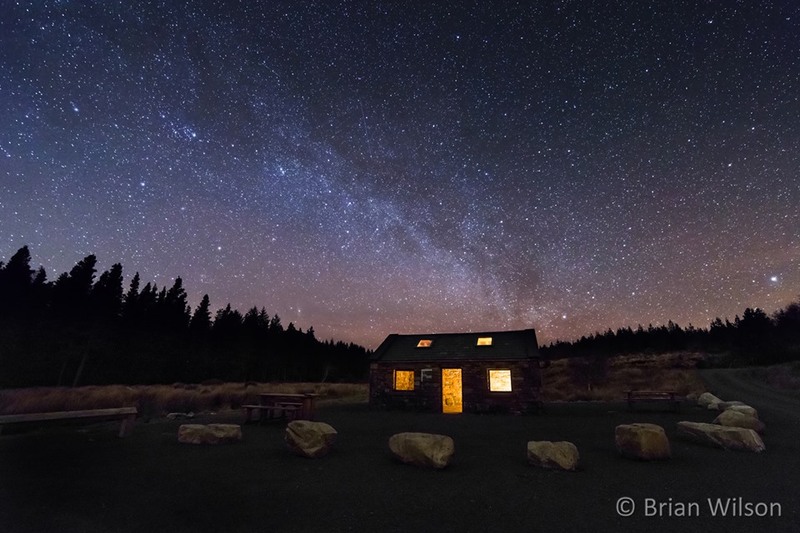 In May the International Dark-sky Association recognised Ballycroy/Wild Nephin National Park as an International Dark Sky Park a Gold Tier classification, the highest possible international award in recognition of the outstanding natural nightscapes. This award followed a two year period of research and measurement of artificial light in the area, addition to verifying the absence of light pollution, the application required evidence of outstanding natural night phenomenon visible from the site (such as The Milky Way, Zodiacal Light, Aurora Borealis, Meteor showers etc). In Ireland over 50% of the population now lives under light polluted skies and are unable to see the milky way. However, this growing statistic is not only of visual concern. Light pollution impacts our daily lives, interfering with ecosystems, wasting energy and affecting our well being and health. We plan to preserve and protect our night sky and nocturnal heritage for the value of future generations. With an annual programme of outreach and educational events designed to highlight the value of our night sky heritage as well as inviting all members of the community to actively engage with astronomy, art, culture or story of the night sky. We have created a programme called “Dark Sky Ambassadors”. This programme aims to encourage the community to represent the dark sky attraction to visitors, thus encouraging local engagement with the Dark Sky Park and generating an off season tourist initiative that showcases the rural environment in a sustainable way with local involvement. There are several myths surrounding light and darkness; such as brighter lights provide safety and that LEDs are the replacement of choice to save energy. However, many LEDs have high blue rich content which scatters widely into the atmosphere, causing light pollution and also affecting eco systems and our own well being. The need to save energy can be achieved by installing lower level lighting, trimming time periods for light and selecting warmer toned eco-friendly light tones. We hope to raise awareness of how well the human species has adapted to low levels of light (many of us already use 24 hour colour tone vision as we have no exposure to darkness). By putting a value on the night, we can contribute to climate actions and energy saving, yet still preserve a natural cycle of day and night to which we have all evolved over millennia. We have developed a growing interest group in dark skies and have provided advice and submissions to assist local authorities in use of responsible lighting on our streets. We are hoping that Mayo can become a model county for its use of light in a positive, responsible manner. Our project extends through schools, communities, policy makers and visitors to the country - all with a common value on preserving the night sky for future generations. In raising awareness, try to identify what is positive, rather than the negative aspect. Rather than suggesting what people should do to change their habits, we are encouraging communities to get involved in learning and caring for our project and then they can make informed decisions on what to do next. In our case, we have some of the best and most beautiful natural skies in the northern hemisphere. So much learning can take place in rural areas of Mayo and we can use turn something that could be perceived as a negative, into a positive benefit to the region.